Learning how to track social media analytics can be extremely beneficial to any digital marketer. Tools, such as our very own Locowise, provide you with the means. Yet, the actual analytical planning and social media tracking process is down to the individual expert or agency. As a marketer, it is your responsibility to manage the analytics process. To do so, you must keep your habits in check. One example of a good social media analytics tracking habit is keeping an active list of hashtags related to the industry of your client. Managing the campaigns of the profiles you are in charge of and their respective hashtags is obvious. Yet, to have a better awareness of what works and what doesn’t you might want to keep an eye on the most popular and active hashtags related to your current marketing goals. Of course, this is only a small piece of the big puzzle that makes up analytics tracking. Agencies, as another example, often need to check in with the benchmarks of Facebook, Twitter and Instagram. This gives them the competitive edge of being ahead of the trends. However, this is only one of the gears that need to turn smoothly for the proper social media management agencies do. The reporting is yet another part of the tracking process for marketers. With all that in mind one can easily get lost and detached from their proper tracking routines. That’s why we are here to give you these habit tips and guide of making it through the data analysis process without getting bored for even a second. Let’s get started! The Social Media Analytics Tracking Process – Where to Start? Every social media tracking process can seem a bit overwhelming at first. In fact, if you are responsible for multiple accounts at a time, you might often find yourself overthinking the analysis of the data. The primary cause of this are bad analytics tracking habits. Thus, correcting the slight errors in your daily marketing routine should be a top priority. One great way to simplify your analysis and to increase your productivity would be the separation of the social media analytics tracking process into multiple phases. This is often done based on your personal preferences, but most marketers prefer first checking if there are any noticeable changes in the benchmarker, then proceeding to analyse different campaigns for clients one at a time. Some agencies even go as far as to have regular meetings discussing the biggest changes in social media and to speculate about the algorithms, while also keeping track of the benchmarks to see what works and what doesn’t. Unless you are heavily invested in up-to-the-second updates and are constantly refreshing the analytics, you should learn to schedule reports. Selecting the profiles for each respective client/campaign and scheduling a report can be a huge time-saver. Plus, having the convenience of Slack or E-mail delivery of a report on your social media analytics can help keep your overall schedule in check. It also often serves as a reminder. Not to mention, you can easily forward the reports to your clients whenever you need to do so. Learn to use your social media analytics tracking tool to the best of your ability. With Locowise, for example, you can easily customize the report to help you in your data analysis process. A full or a multi-profile report can have a lot of data you don’t necessarily need at a particular point in time. Thus, a good habit would be to create custom reporting for each client of your marketing agency every time you start a new campaign (or for each new client). As an example, you might want to create and schedule a post analytics report to be sent on your Slack daily, an audience growth report weekly and a full report on a monthly basis. This will streamline the social media reporting process immensely and increase your overall productivity and the productivity of your team members. On the topic of automated analytics tracking, make sure to customize and automate as much as possible. If you already have quite a few clients and haven’t scheduled anything before, the process of creating scheduled analytics reporting might take you a day or two. Nevertheless, once you do so, you won’t have to worry about doing so again, until you get a new client or start a new campaign. What’s more, even when you do, as you will already have the automation set up for your other clients, customizing a few additional reports will be a breeze of a process. Another great habit is labeling. Much like with any other digital task, labeling is key towards proper organization. Similarly to how you would like to keep your tags in check during project management, having the right labels on your social media analytics reports can help you avoid getting lost in the archives or in multiple custom reports. What’s more, by having the proper labels on the profiles you are tracking will allow you to more easily create different and updated reports when you need them. You might even label and name your reports based on the industry, helping you prepare and archive data to be prepared for any future clients and to keep your reports better organized. 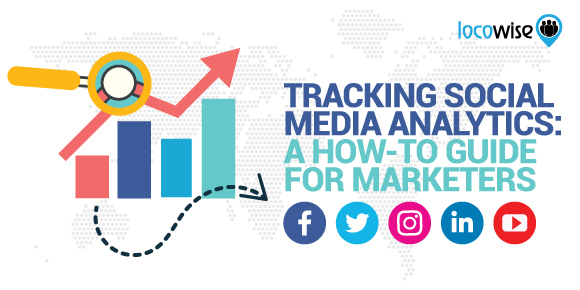 The two most important items that make up tracking of social media analytics so powerful are that it allows agencies to more easily analyze the data and later to report it to their clients. Thus, when customizing your analytics tracking, make sure to do so for analysis and reporting. The visual representation of the data is quite helpful in helping you see certain items you might have otherwise missed. Yet, it is also perfect for easy communication of results. With that in mind, focus on optimization that checks both boxes. By being able to tap into the social media analytics of your competitors you will be able to receive insights about the industry that would otherwise be difficult to learn. Similarly to the benchmarkers, your competitors provide you with a more concise picture of what’s happening on different social media platforms. Yet, the analytics of your competitors are a much more clear and targeted data that give you a glimpse related to the engagement and interaction of the audience you are trying to reach for your clients. 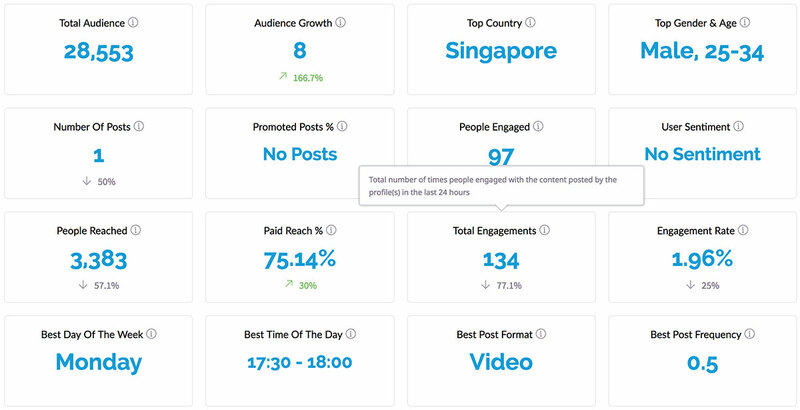 Moreover, via analytics tracking tools, you will be able to learn more about the details related to the social media campaigns of your competition, including their impressions, promoted content and much more. This valuable info, you can later use in the strategy and management of the accounts and campaigns of your clients. Last, but not least, make sure to build a habit of tracking relevant hashtags. If you are building a social media strategy for your client on Instagram or on Twitter, you have to use the power of analytics to the best of your ability. With hashtags being an extremely powerful way to promote the natural reach of a brand, tracking relevant hashtags might prove the most useful habit in your digital marketing career. To do so, make sure to create a list of the hashtags that are most popular in the industry and for the target audience your client is trying to reach. Hashtags are also an extremely powerful way to do your social media research. They provide with an extremely detailed map that allows you to tap into demographics, related trends and much more. With that in mind, make sure to keep hashtag analytics tracking on top of your priority list at any times. It will not only improve your productivity, but it is also one of the most healthy habits a digital marketer can have. Locowise is a powerful social media analytics tool that allows you to track multiple profiles at a time. Build specifically for agencies, it allows you to streamline your analytics process, increasing the productivity of a digital marketer via scheduled reporting, custom reports and more. If you are interested in learning more about what we can do for you, make sure to schedule a demo with us! And sign up for a free 7-day trial today for instant social media analytics tracking and reporting!